A tank with the Armata Universal Combat Platform at a rehearsal of military parade to mark the 71st anniversary of Victory in 1941-1945 Great Patriotic War on Red Square in Moscow. Britain is set to form two new armoured strike brigades to counter modern Russian technologies. Britain is in the process of creating two ultra-mobile strike brigades which, according to the British military, are designed to “deter Russian aggression” embodied in Moscow’s latest domestically-made tank, the ‘Armata’, and military vehicles built on the Kurganets platform. These strike brigades will be equipped with combat vehicles built on the ‘Ajax’ platform which, according to experts, are inferior in their capabilities to the Armata and Kurganets. Each of the new brigades will include two armoured reconnaissance regiments, equipped with combat vehicles built on the Ajax platform (a total of about 100 units). According to Michael Fallon, the British Defence Secretary, the UK is planning to establish a special experimental group in 2017, which will rework the concept of the strike brigades, and the use of Ajax-family vehicles on the battlefield. The first full-fledged brigade should be formed by 2020. Publications of the British military establishment indicate that the new military units will become the mobile reserve, which can be flown within hours to any part of Europe, from Romania to the Baltic States, to stop any possible invasion by Russian troops. Although the Ajax are officially classified simply as armoured combat vehicles, in reality they are light tanks. Applying the status of light tanks to them allows them to be equipped with caterpillar tracks and unique weapons, like the 40-mm machinegun, using new generation ammunition – the so-called “telescopic shells”. Their strike elements are surrounded by detonating substances that give them a much higher initial velocity. British experts claim that by using this technology on the Ajax, these new shells are able to penetrate armour up to 100 mm thick. Taking into account the rate of fire of 180-200 rounds per minute, this machinegun has a real chance of knocking out a main battle tank, or at least causing serious damage to its external equipment. The combat weight of the Ajax is a little more than 38 tons, making it suitable for transportation by transport aircraft, such as the C-130 Hercules, and this will allow the British to “insert” their strike brigades to any endangered site. To achieve this kind of mobility, an entire regiment of Royal Hussars will be re-equipped with Challenger-2 tanks on the Ajax platform. Another strong point of the Ajax is its reconnaissance equipment system, which allows the crew to detect the enemy in all weather conditions. The data collected by each vehicle will be transmitted in real-time to command headquarters. The British Armed Forces have ordered 589 combat vehicles on the Ajax platform. For every two light tanks, the armed forces will provide two infantry battalions, which are likely to be transported on the ‘Ares’ armoured personnel carriers (APC). Russian experts, however, doubt the combat efficacy of these future strike brigades. Alexey Khlopotov, Russian military expert, said the ‘Ajax’ is a very strange vehicle. “Why they need such a vehicle is not clear,” said Khlopotov. “This is a cross between an APC and an ARV (armoured recognizance vehicle). The armament is weak, like in an APC, and it has no assault forces. In addition, in any modern infantry fighting vehicles you will find anti-tank missiles. The weight and dimensions of the Ajax are those of MBT (main battle tanks) of the 1970s. The Ajax can brag of only one advantage; machineguns with telescopic shells. 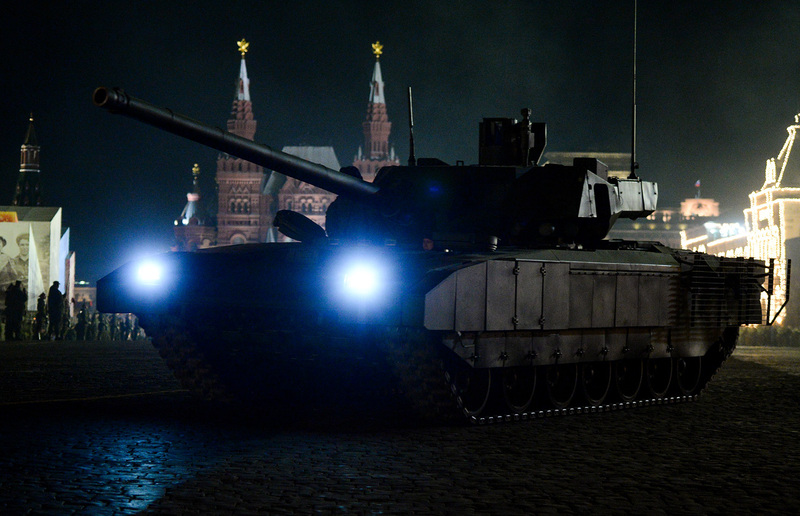 “Against the background of hysteria in the media about the threat from the Armata, replacing Challenger regiments with Ajax vehicles, is a very strange decision,” said the analyst. “The Ajax looks good in a parade, but they are not suitable for large-scale combat. Apparently, the British military simply had an urgent need to demonstrate to the public that they are taking measures in response to the “military threat” from the Russian Federation, so they undertook this dubious experiment,” he concluded.